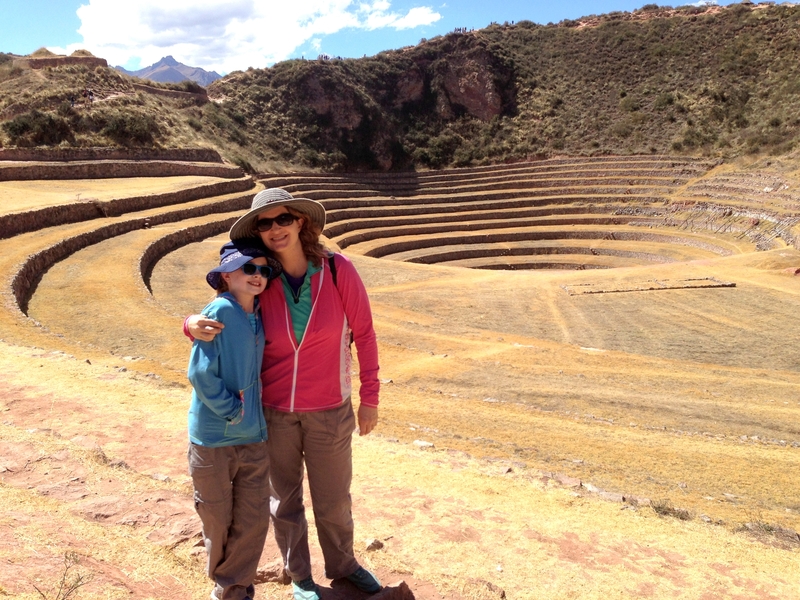 We left the salt ponds and headed for the famous Moray, thought to be an ancient agricultural outdoor laboratory. 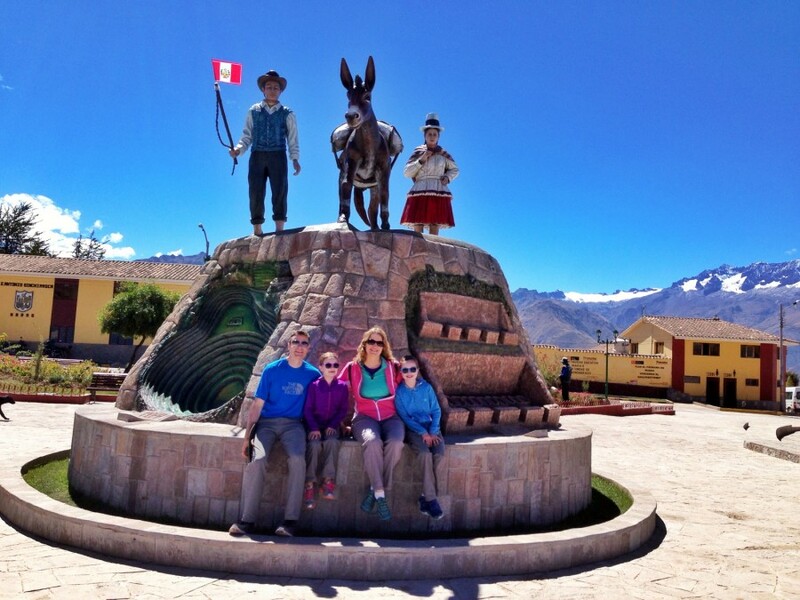 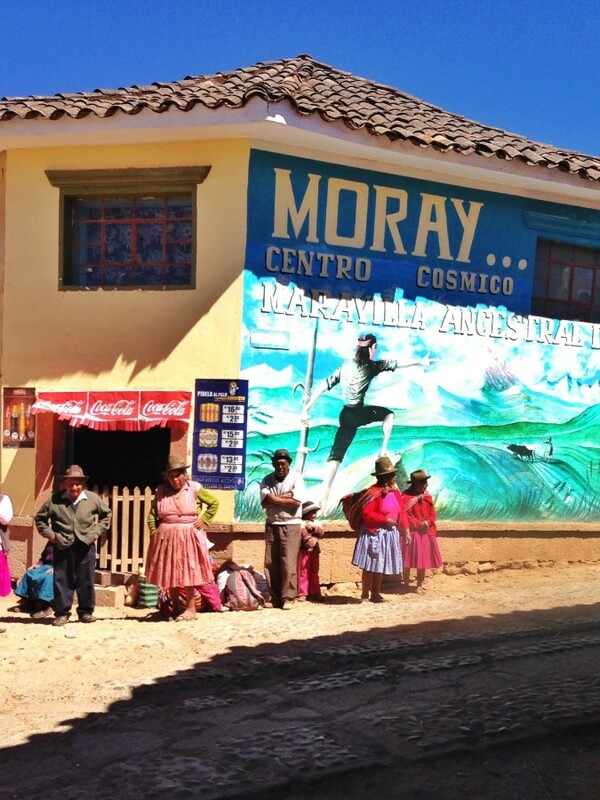 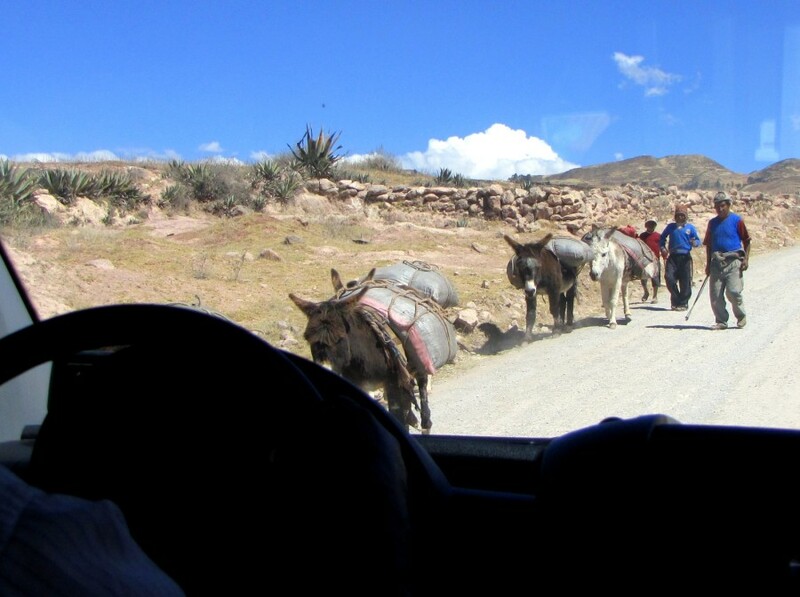 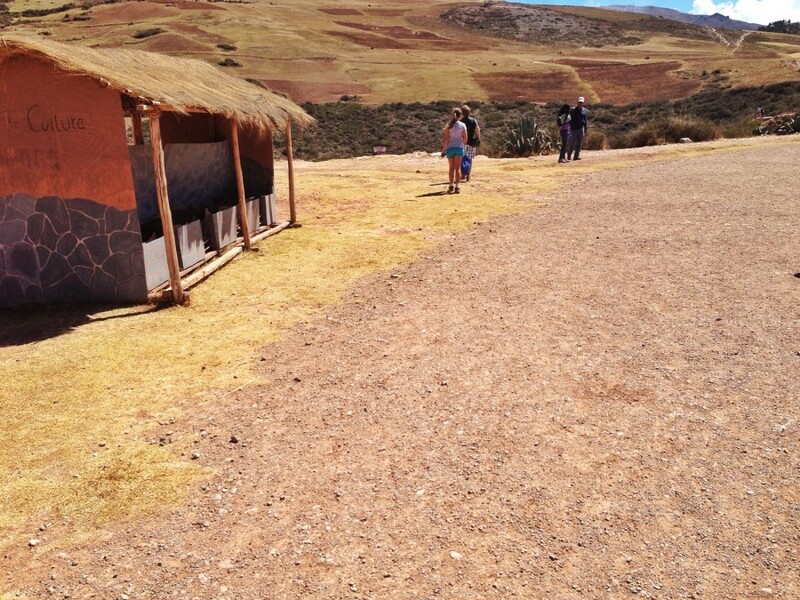 We passed through the actual city of Maras where we stopped for a quick photo-op. 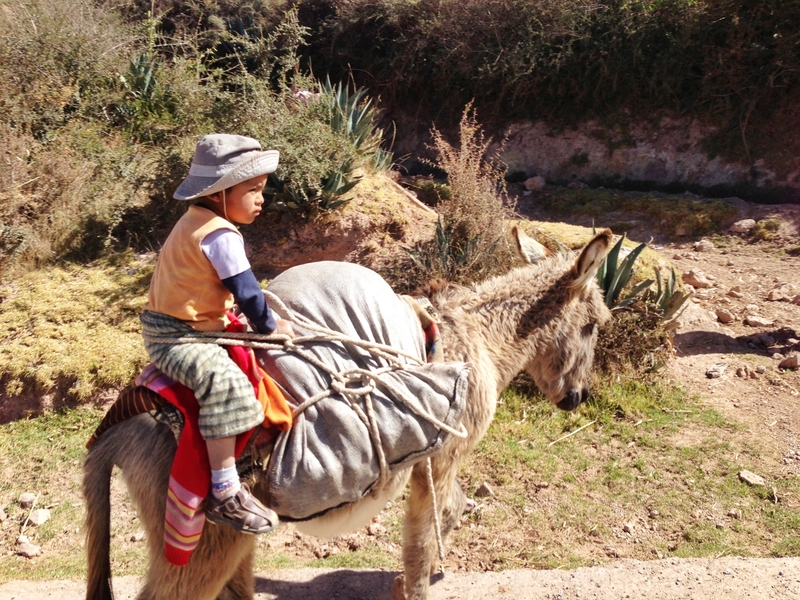 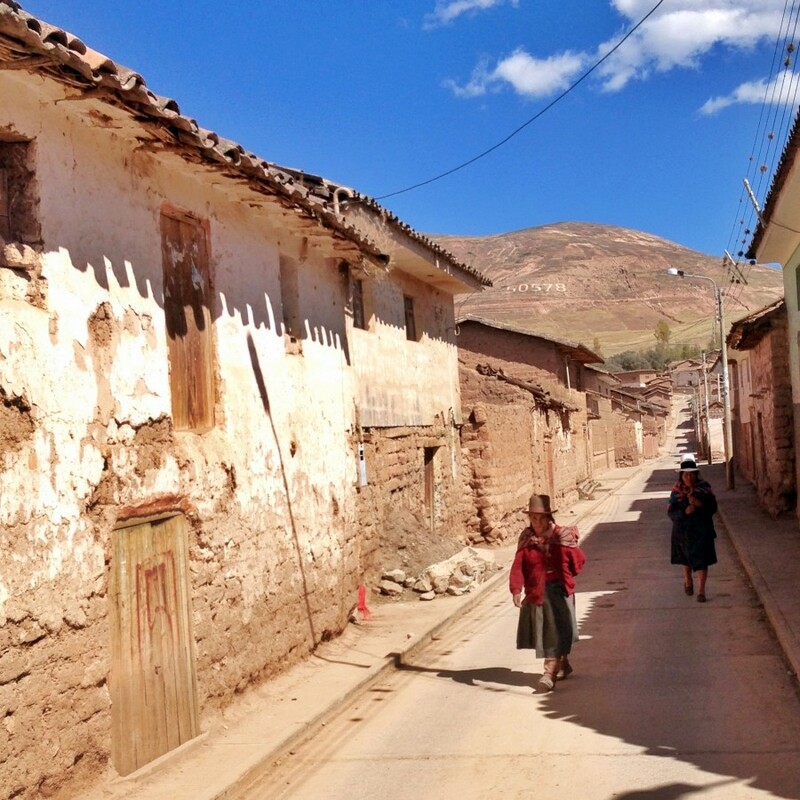 The town is very simple with adobe brick buildings lining the narrow streets. 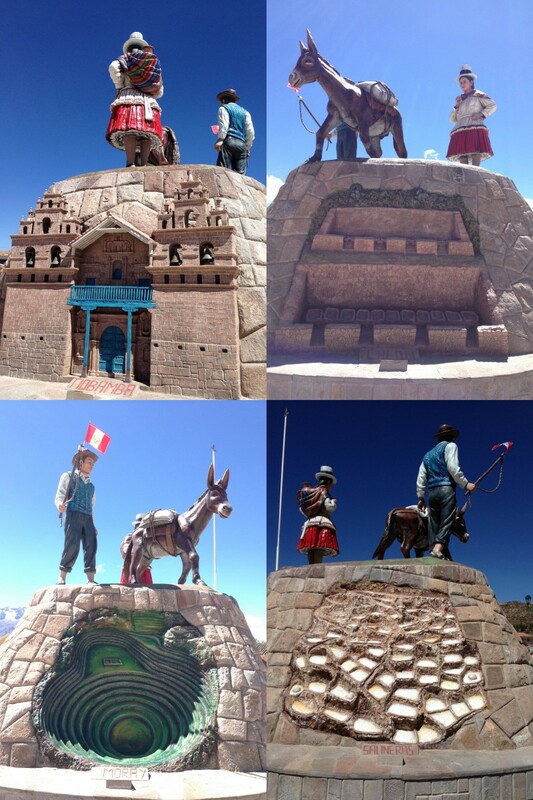 Its Quechua residents, direct descendants from the Incas, wear traditional clothing including fedoras and bowler hats, which apparently were introduced by British railway workers in the 1920s. 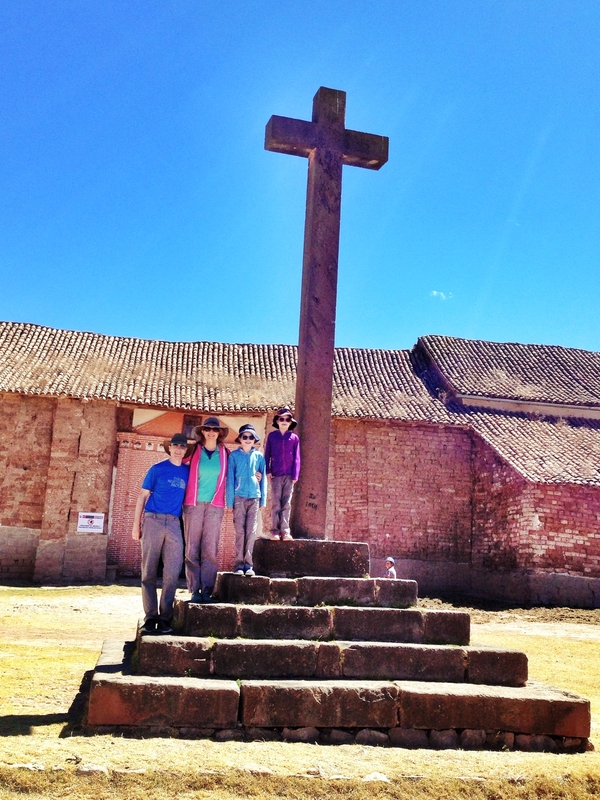 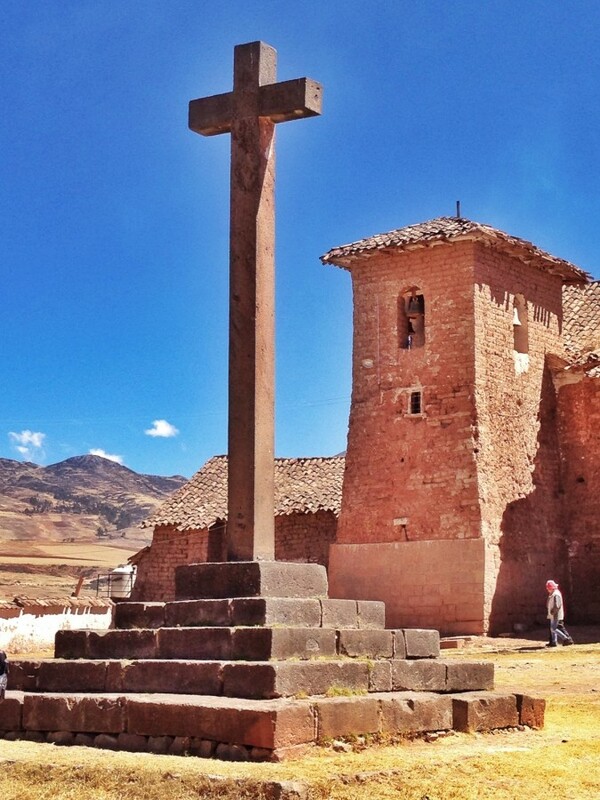 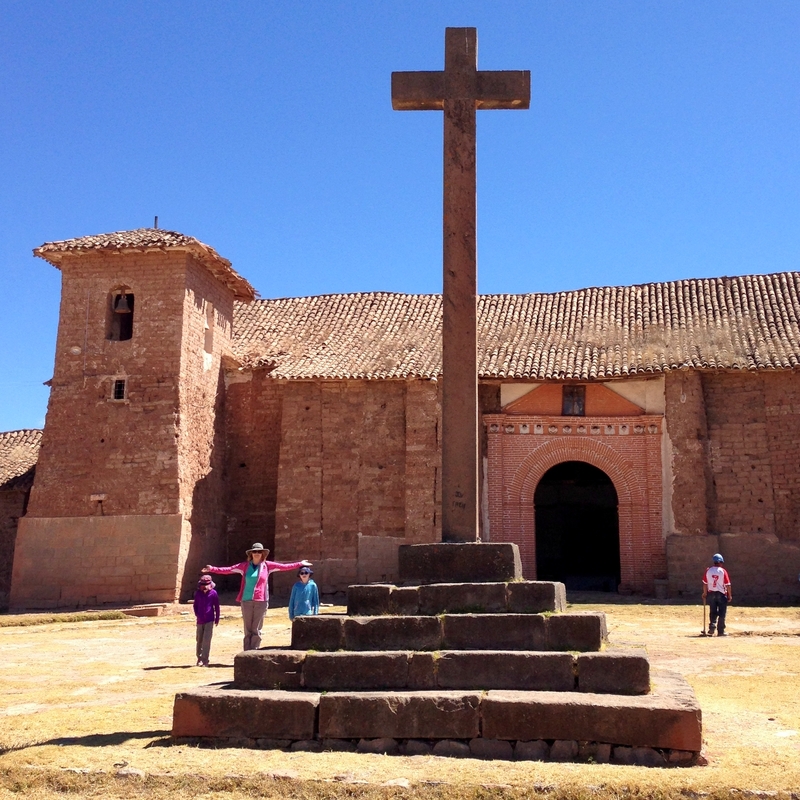 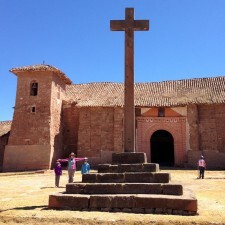 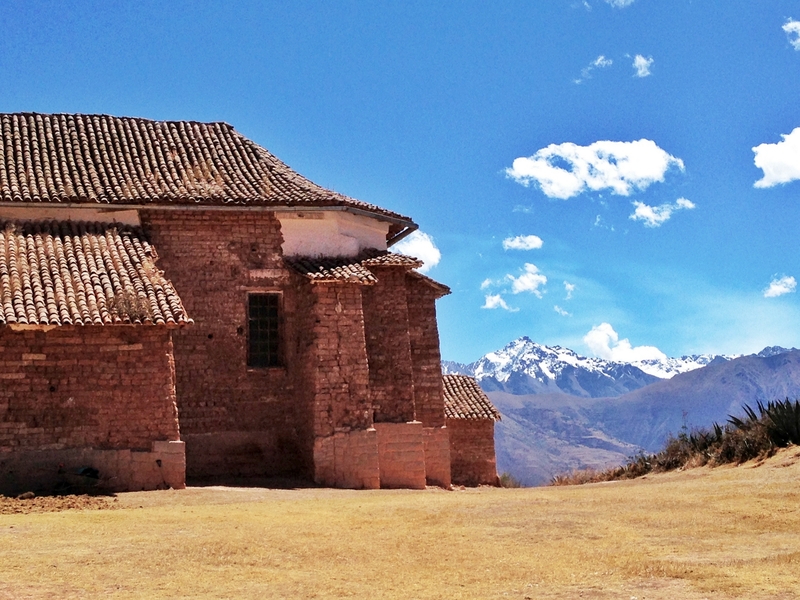 Just outside the town is an old colonial church called Temple of San Francisco de Asis Maras, which was built in 1556 (the oldest church in Peru dates back to 1534). 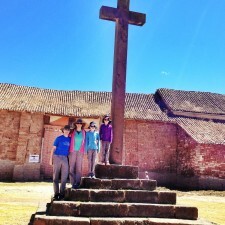 A couple weeks before we arrived, they started a huge renovation of the church, so we were not allowed to go in. 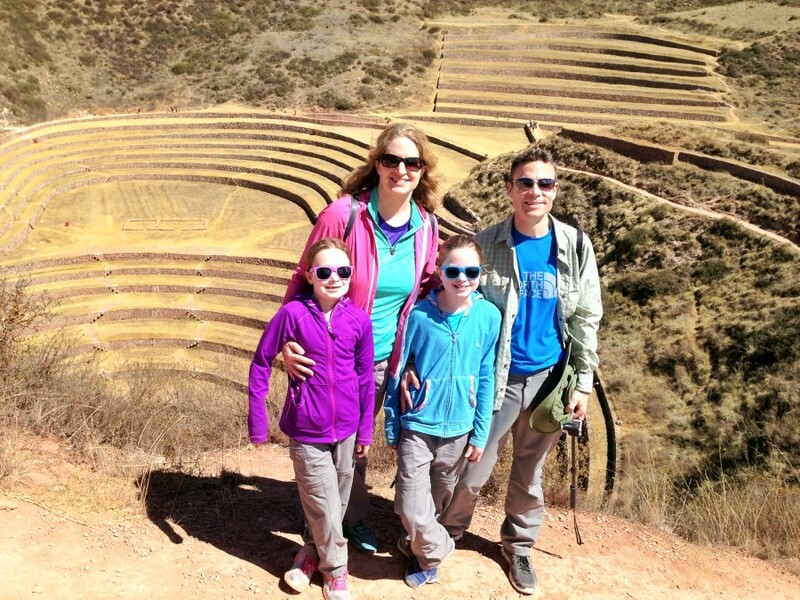 You can view this video from YouTube if you want a peek inside. 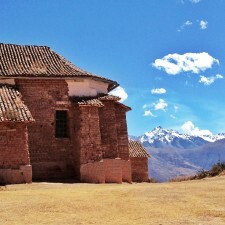 Of course, that didn’t stop us from enjoying the amazing views with the snowy capped peaks in the distance. 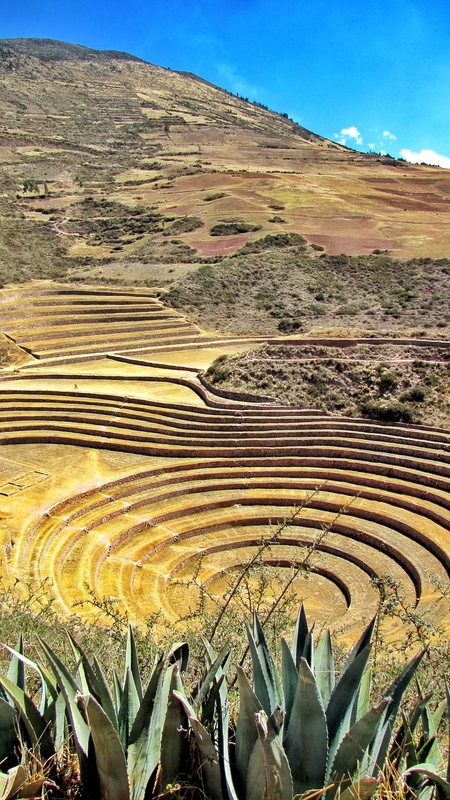 Archaeologists believe that the 500-year old Moray served as an agricultural laboratory, of sorts. 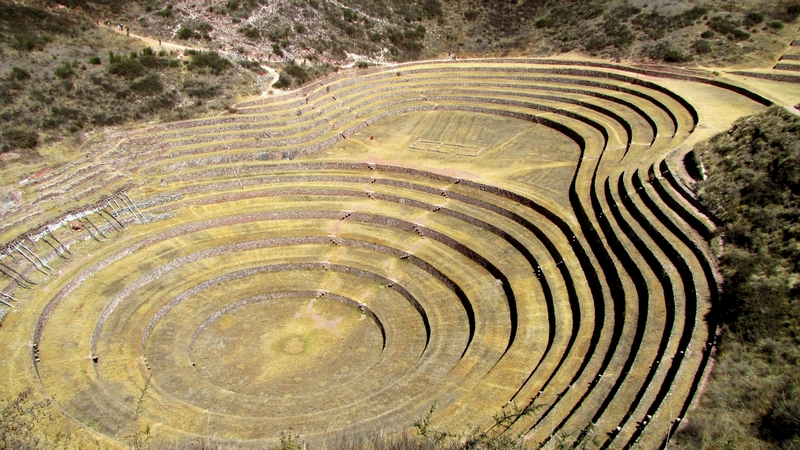 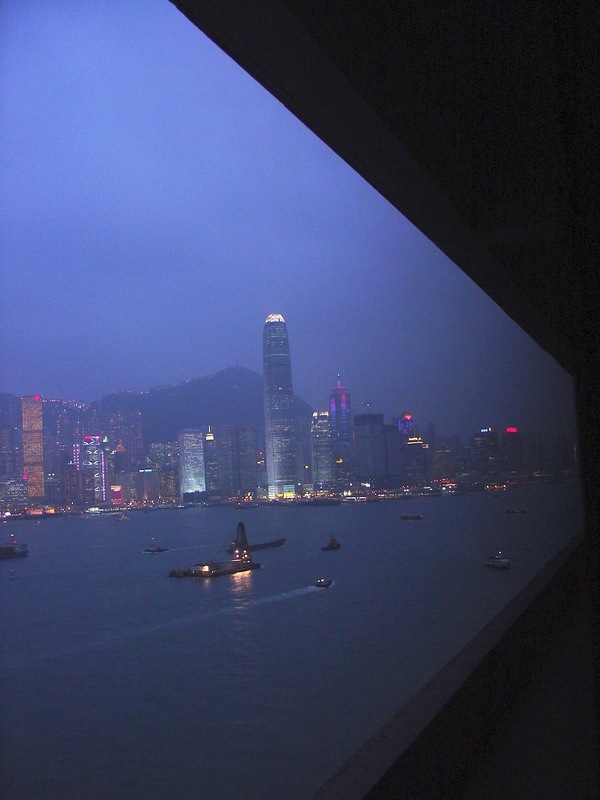 The stepped configuration of Moray creates different micro-climates at each level. 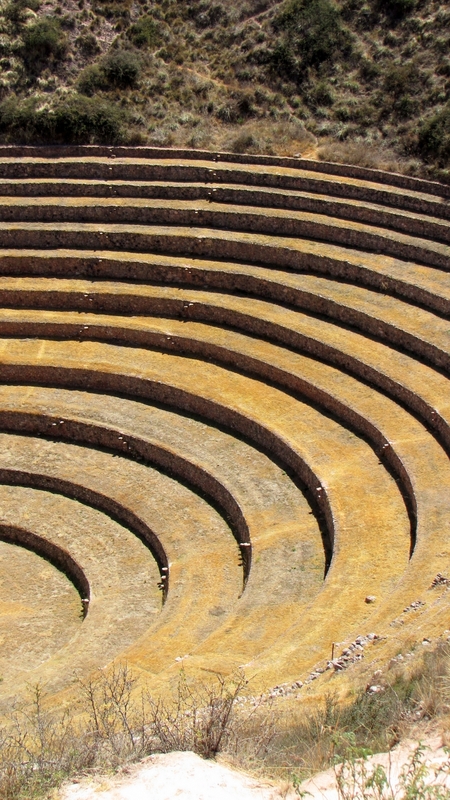 Temperature differences of 27 degrees Fahrenheit have been measured from inner most circle to the top edge. 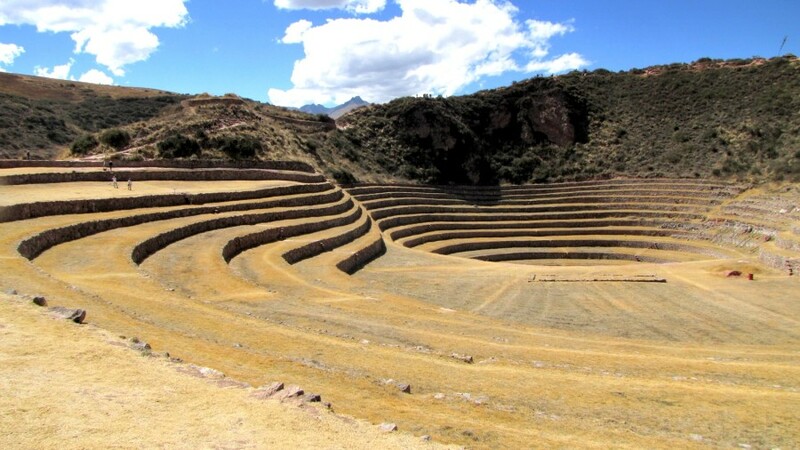 They believe that these rings were used to acclimate plants growing at lower elevations and warmer climates to the high desert plains of the Sacred Valley and surrounding areas. 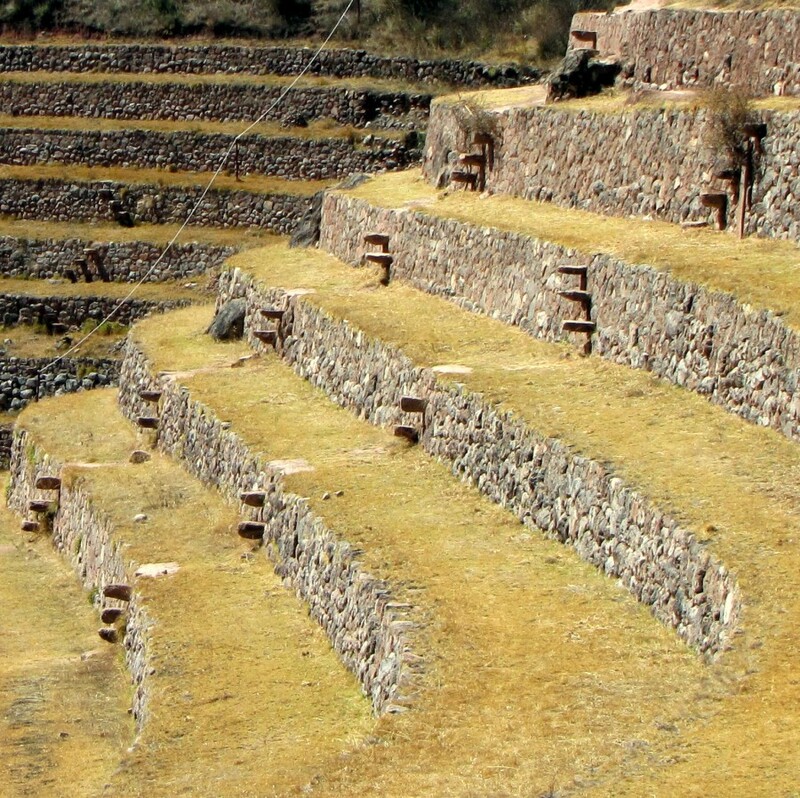 To the left of the steps (below) are channels that bring water down into each of the terraces. 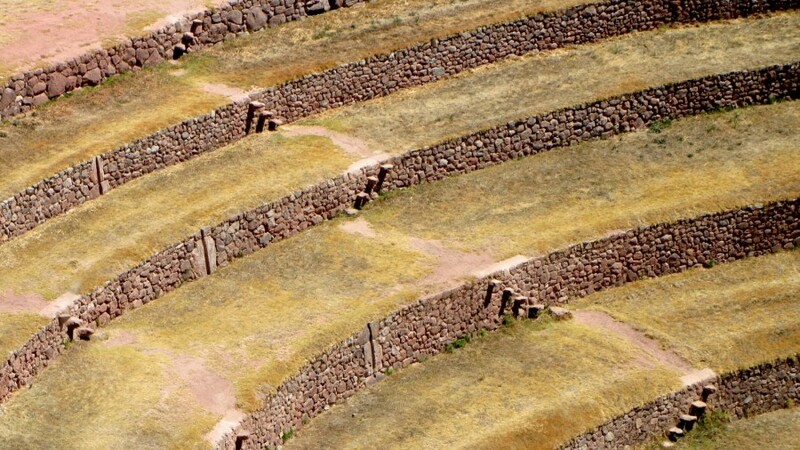 These water channels are only in one section of the terraces. 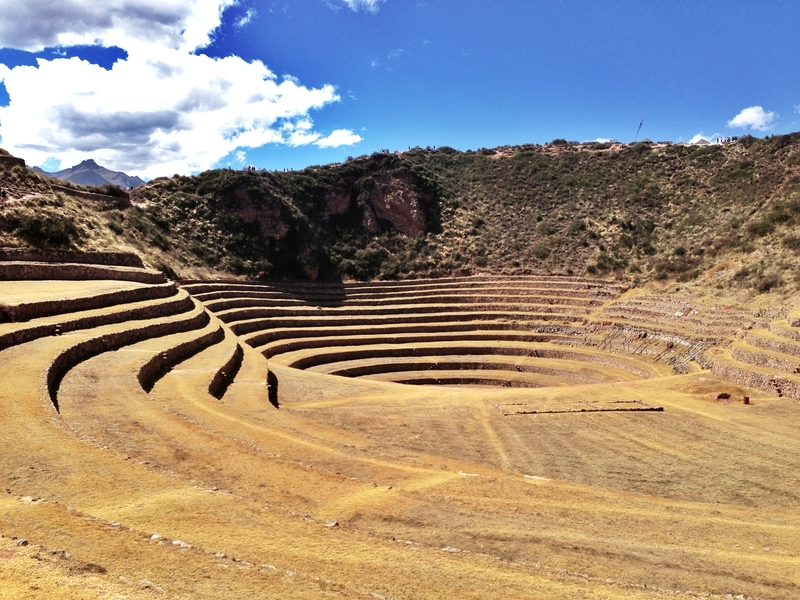 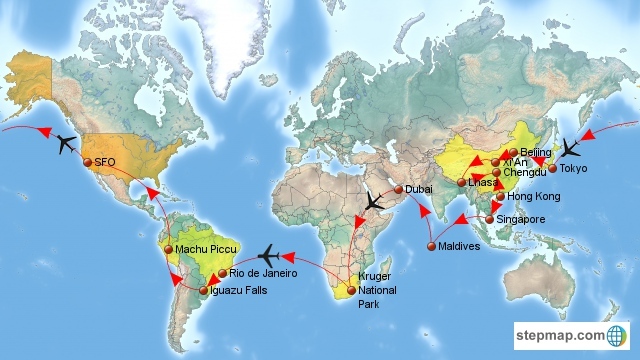 It is thought that there are further water channels around the edges of the terraces to evenly distribute the water. 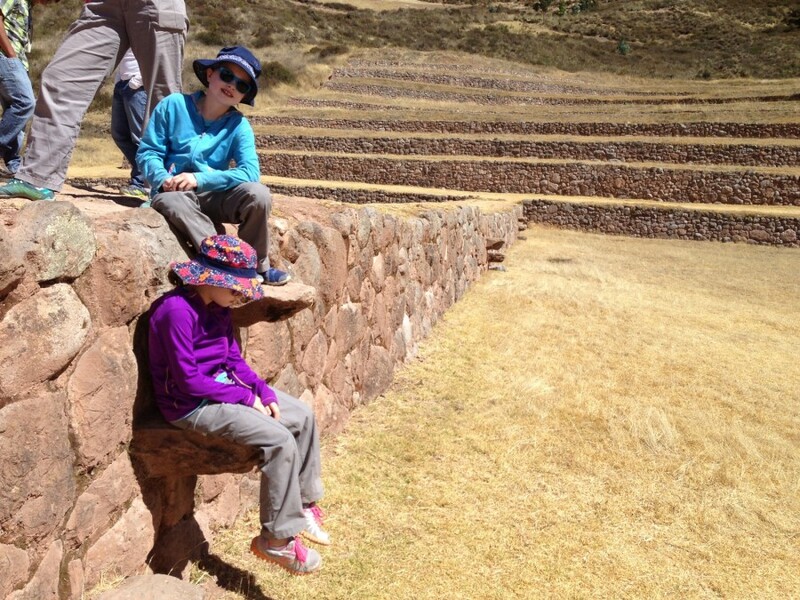 After looping around the terraces, we climbed back up to the parking lot and headed onto Ollantaytambo (our last stop of the day).